I really worked hard to capture an understated look and a comfort fit with the Yard Boss jeans. I wanted to capture that mercantile stack of denim that would be handed out with a matching jacket to workers or prisoners in the 40's. A simple no nonsense jean. no reinforced crotch for these? Thanks CC. They will be available in 21oz and 12oz for summer months. They have the balance right between a lose and a fitted straight leg jean which is an oxymoron but that is why these were so difficult to get right. Above was shot in full daylight so the glare is blowing out the thread (which is darker) and the denim, so I had to later darken it to get it to resemble the actual denim which blew out the thread. In a few weeks the full collection will roll in on a proper model shot in a studio and you will see what I mean by the shape and the denim. Does this comes with hidden rivet? 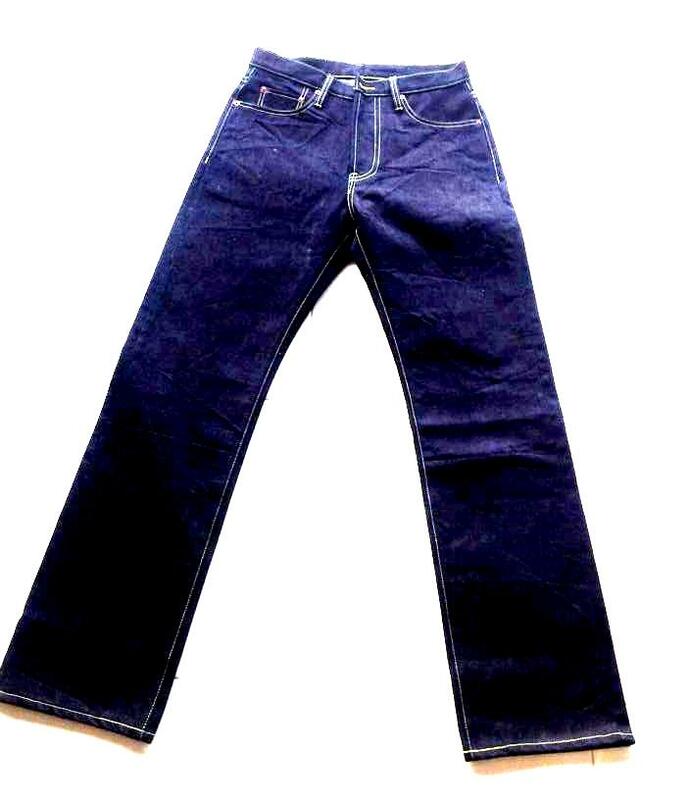 Seems like it is a 40's pattern, straight and slim, so I think the hidden rivet is a must for jeans from this period. Also, may I suggest to make the back pocks longer? The pockets in the pictures look pretty wide and short to me, especially the right one. What do you think Simon? Hi Joe, hidden rivets, yes. The pockets on these are slightly bigger in size to the 55's which were the largest of the mid century pockets, much bigger in fact than the 40's ones. Again this is a 32 so they look a little smaller not sure why. Also the patch will be stamped and embossed not printed. But well spotted. Is that the Laurel button similar to LVC 44501? 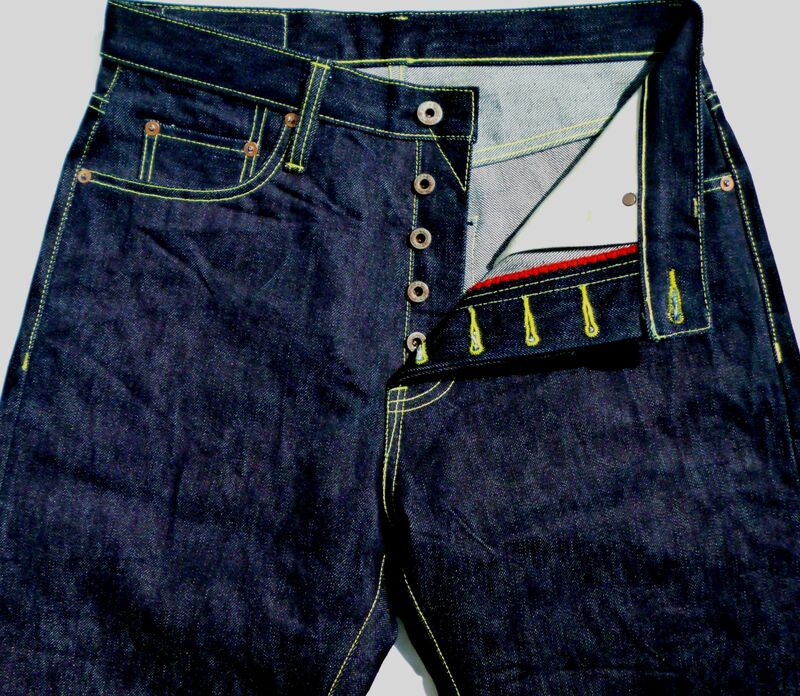 maybe we can try to add some stitching to the back pockets? (02-05-2015, 01:55 PM)joezhu Wrote: maybe we can try to add some stitching to the back pockets? You mean some form of arcuate design? Thanks. I had the offer to do something on the back pocket but I'm just not really sure. What do you think? 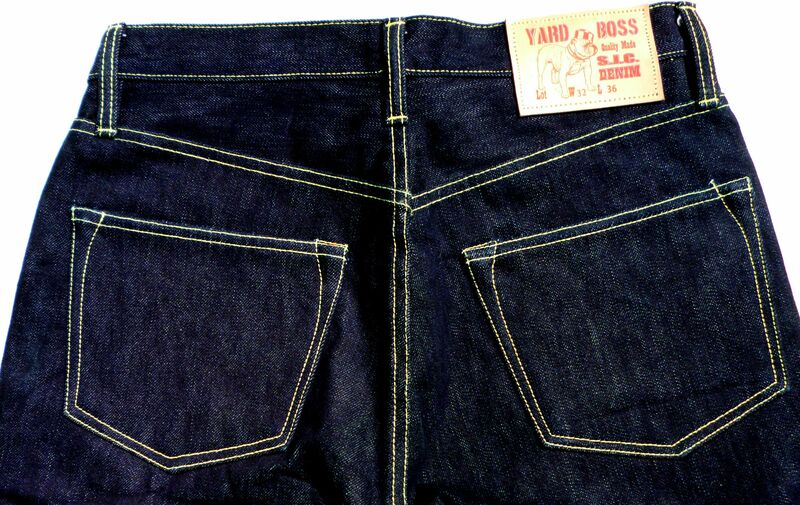 I have been wearing my Yard Boss for a couple of weeks now. Superb cut- classic 1955 style. The back pockets don't need to be bigger,in reality they are exactly the right size. The denim is beautiful and the yellow chain stitching really sets them off. Thanks Carlson. Correct the pockets are configured similar the 55 but the thigh is narrower by an inch and the hem widen by the same margin. I'm very glad you are happy with them. They were the hardest to configure to achieve an understated vintage cut. I thought Sugar Cane did a good job with their '47 model but these are tweaked up and 16oz is a nice working weight. Of all my 'bought blind' jeans, these are by far the best. Great fit, great construction and materials. Comfortable straight out of the box, no need to soak, they looked fantastic with all my jackets. 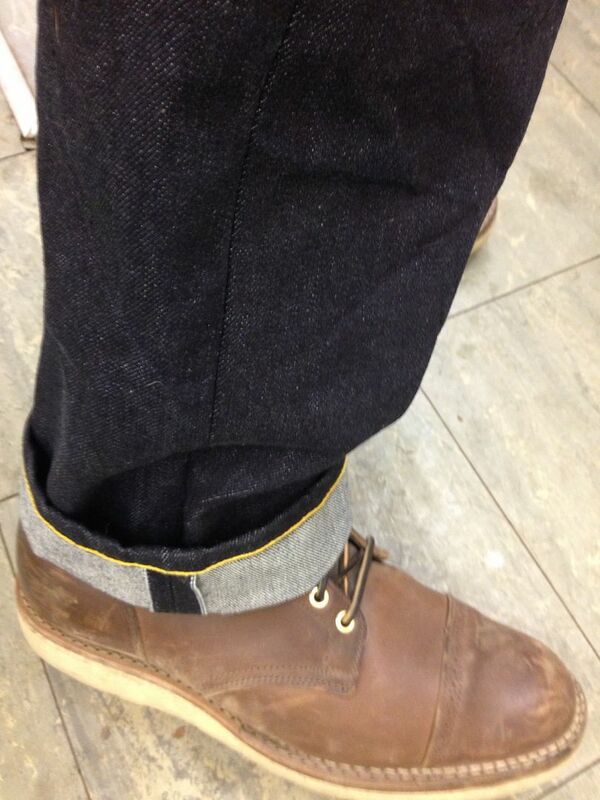 The idiot on the Selvage Forum who said that Simon's jeans went against everything they were in to - ie the train crash that Lawless is - should hang his head in shame, because this is what we should be pursuing, not knock-off, design-less denim.